Our efforts continue to source quality parts for your vintage pride and joy. 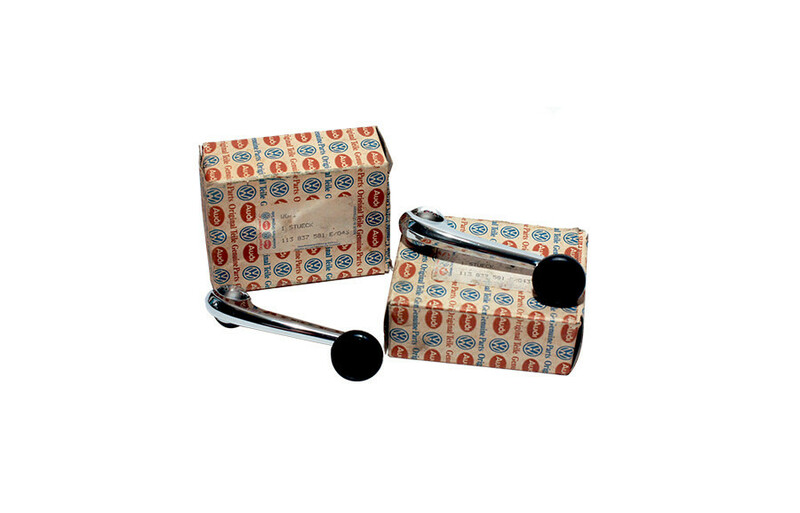 We just recently scored a batch of NOS German ’67 Beetle window winders in their original boxes! If you know the ’67 Beetle, you know that the window winders are a one year only item. 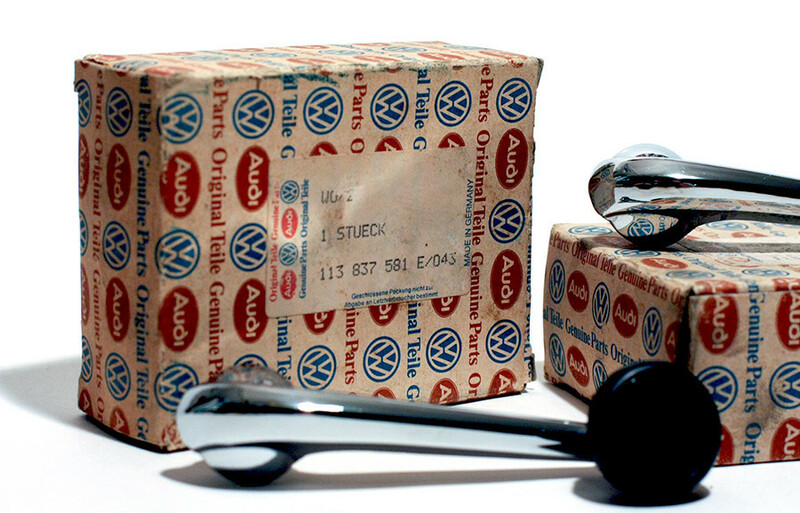 These units are genuine German NOS, w/ the VW logo and correct part number stamped on the back of the winder. Quantities are very limited. Sold individually or as a set. 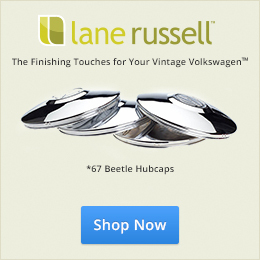 As Lane Russell grows, our goal is to offer the highest quality products available — including OEM, German, and NOS, with a focus on unique accessories to the ’67 Beetle community. Beautiful handles but…OUCH to the price.. Speaking of needed 67 parts. We need to find some quality, responsibly priced hub caps for them! Someone needs to fly to Asia w/an example and have them press out say, 5000 units! Yes, they were difficult to obtain and were sourced from half way around the world. Nothing beats having an org NOS part. We actually will be offering hubcaps in the future, as we found an OEM source. Stay tuned. Hi, Bill…I bought one of these Window Cranks. I must say that I was a bit hesitant about the purchase. I had lots of questions. When the Crank arrived–I was knocked out! Not only did I receive an original German Box, I received an authentic Window Crank from one of the two original manufacturers! I checked my purchased Crank against some used ones which I was hoarding to replace mine when they finally crack and give up. It’s the real deal! I figure that the box is worth $15 dollars as a collector’s item. I would not hesitate to buy and install these on a 1967 Beetle. As a guy who first began owning VWs about 40 years ago, I am having to get my mind into gear over the fact that quality parts cost money. Sometimes I wince–but, I know that I want to have a Beetle that will still be giving me good service down the road. I look forward to the offering of the promised Hub Caps. Original ones are more and more scarce–I snap up every good one that I find at the swap meets. That’s infrequent now, unfortunately. My last good ’66-’67 Caps went to England (discounting, of course, those that I have saved in my spares closet). I encourage ’67 enthusiasts to look into investing some money in hard-to-find items–especially those that have ceased being manufactured. I fabricate a few things myself and I know several others who do the same. There’s not much money to be made doing this but at least we are perpetuating the Vintage VW Community! I guess that it seems as though I have strayed from the original thought–but, it all goes to the same end–perpetuating these Vintage VWs! Thanks for chiming in, Bill! I do understand QUALITY, like new, NOS parts fetch a premium price for sure. Those handles are beautiful and would be killer to complete a restoration! 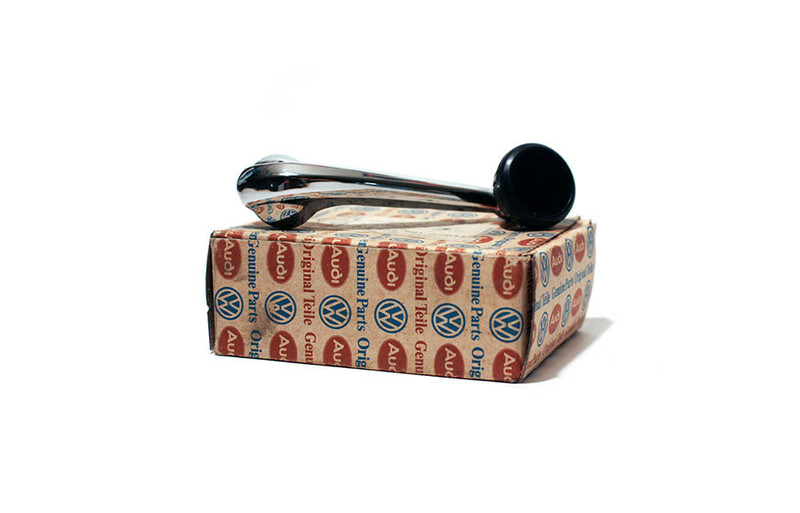 I’m a huge advocate of buying the best parts you can acquire for our VW’S. We all see it all the time on the Samba where someone went for the cheap part/parts and found out they don’t fit are poor quality and don’t last long. I was guilty of that when I got back into this hobby but learned quickly to buy the best I could get. I’m excited to hear about some new hub caps becoming available for our 67’s! I hope they are the same thickness and quality as the originals vs. the last batch of re-pops that had terrible pressings, thin metal and poor chrome. I’ve really noticed that VW stamped hub caps have disappeared lately for not only the 67’s but even the late models. I’ve wondered what happened with them. 8-10 years ago, I was able to buy BEAUTIFUL 69 bug hub caps that were licensed by VW for $20 ea. Oddly, they have dried up too. I wonder if VW is being difficult with their licensing because there is clearly a demand for them. I bought two of these from Lane Russell and they are outstanding. As I remember, from the ’67 Beetle I had back in the 70’s, the window winders are a weak spot in the otherwise outstanding assortment of one year only parts. After a couple thousand cranks one way or another, the round black part breaks off. If you want your 67 to be authentic, I suggest having one or two of these on hand. Yes, they are expensive; but someday they may be impossible to find. Look what happened to the price of quality retractable seatbelts… if you can find them at all. By the way, anyone have a really nice seatbelt they want to sell?